Today we head down to Leicester for the Braunston parkrun, which is one we haven’t done before. MD seriously holds be back today. It’s true that there is less lead biting at the start but possibly more barking, if that’s possible. However what really stuffs our time is his FIVE comfort breaks. Three of which require a poo bag and I’ve only stuffed two down my shorts. That’s inconvenient but it’s the lost time that’s the real disaster. Afterwards the only place to grab a coffee is the local leisure centre but I don’t think they’ll be much chance of a bacon roll there. They’ll probably just be a coffee machine and a long queue. Instead we head home to see if we pass any cafes on the way back. Surprisingly we come across one of those greasy spoon affairs that lurk in laybys. This one, which is called Paula’s and is staffed by a chap who doesn’t look much like a Paula, is actually rather posh. It even has its own Batmobile and website. In the afternoon Derby beat Rotherham 3-0 at what will soon no longer be called the iPro Stadium. What was supposed to be a 10 year deal will apparently end on 1st January after just three years. L again picks tonight’s film, so it’s a good job I get to take a pint of Centurion in with me. Ok. So I admit I was the one who watched all the Harry Potter films without fully understanding what was going on. Well, I did follow the first one which was utterly charming and the second to last one which was a bit like a proper film but the rest were all well, full of the sort of stuff I didn’t really understand. Wizardry you might call it. Made up stuff. So it’s fair to say that ‘Fantastic Beasts and Where to Find Them’ probably wasn’t made for me. It's been five years since the last Harry Potter film and it’s a surprise that it’s taken that long for them to decide to bleed the original idea dry but now they clearly have now. 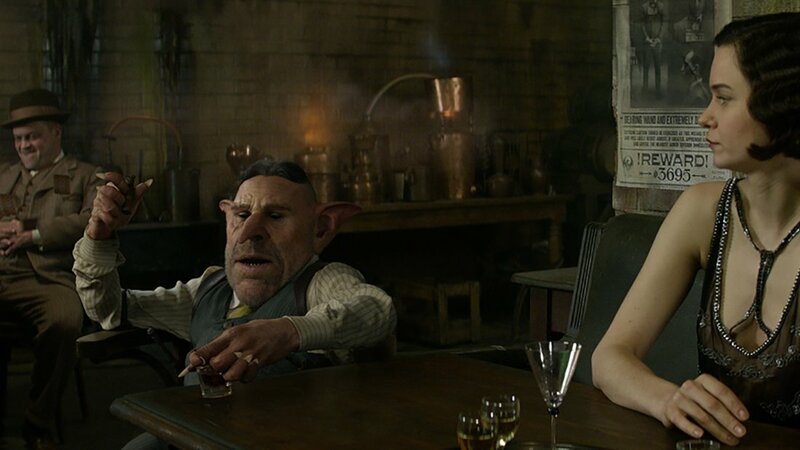 ‘Fantastic Beasts’ is based on a fictional textbook Harry and his classmates studied at Hogwarts and JK Rowling published as a short story in 2001. We are now back in the 1920’s and in the interests of coining the more lucrative American market the action has been moved to New York. 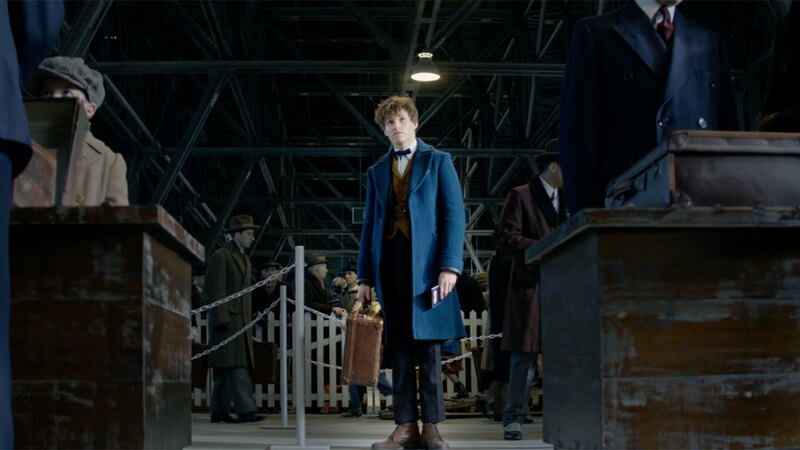 Former Hogwarts student and now wizard zoologist Newt Scamander (Eddie Redmayne) has arrived in the city on route to Arizona where he is going to release a Thunderbird into the wild. When he arrives he is arrested by Porpetina Goldstein (Katherine Waterston) aka Tina a downgraded Auror from MACUSA (Magical Congress of the United States of America) whose job it is to investigate any unregistered wizard who comes into the city. 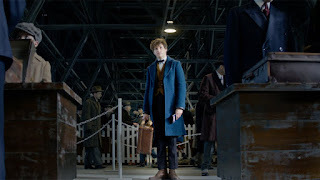 By now Newt has lost his suitcase, which contains not only the Thunderbird but other fantastic beasts, after one of the oldest tricks in the world, the old swapped suitcase affair. 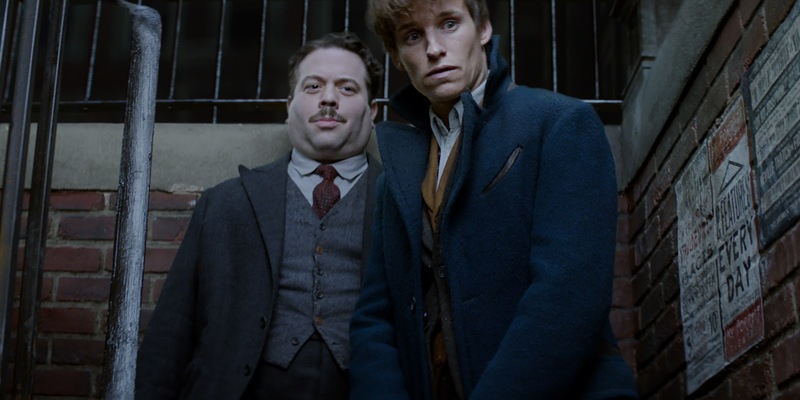 Consequently his beasts end up with no-maj (aka muggle) wannabe baker Jacob Kowalski (Dan Fogler). 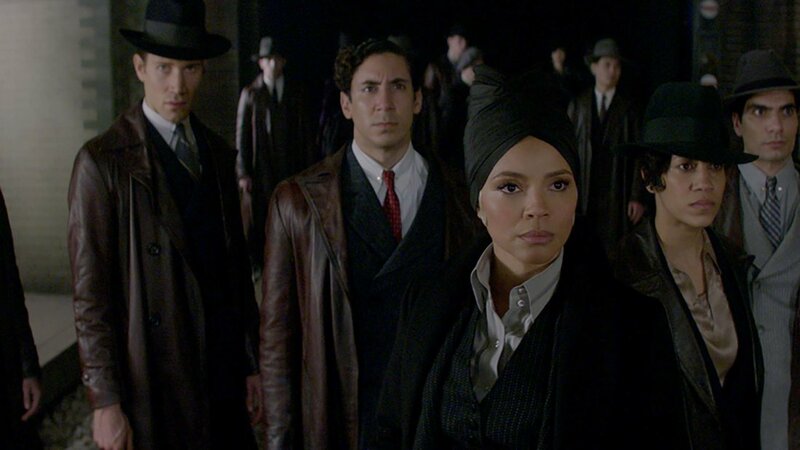 The charges against Newt are dismissed by Percival Graves (Colin Farrell), presumably the boss, when he examines Newt's suitcase to find nothing but doughnuts while the contents of his original suitcase escape and run amok in NYC. Newt and Tina along with Jacob and Tina’s mind-reading sister Queenie (Alison Sudol), who seems to have the hots for Jacob, now team up to recapture them Pokémon-go style. Queue comic chase sequences. Yes the Niffler, a magical platypus with an expensive strain of kleptomania, is cute and funny as it attempts to cram all the world’s valuables into its bottomless stomach but Eddie Redmayne performing a mating dance with the aim of luring a rhino-style beast, an Erumpent, is beyond excruciating. You know that studios have run out of ideas when they end up resorting to more and more special effects. An hour into this I already have a CGI related headache along with a severe case of boredom. 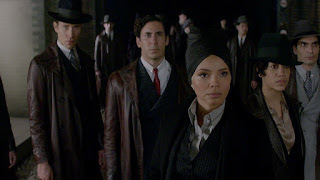 Headache aside, I was sort of with everything to this point but new characters such as Credence Barebone (Ezra Miller), the adopted child of the wizard hating Mary Lou (Samantha Morton), keep coming at you from all angles without much in the way of an explanation. None of these characters added up to much which meant I didn’t really care much for any of them. What made the Harry Potter watchable was that the brilliant characters which are sadly absent here. Rowling is capable of much better than this. We know she is, Casual Vacancy, Cormoran Strike etc. 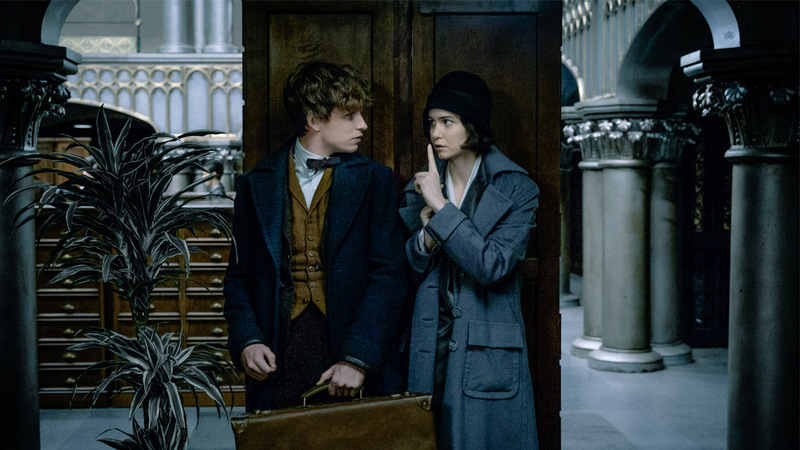 To me ‘Fantastic Beasts’ is a cluttered mess and I haven’t been so unentertained in a long time. At least you know it's a wind up when Johnny Depp appears at the end as Grindewald... it is a wind up, isn’t it? Apparently not, this is going to be a series of five films. Wake me up when it's all over. Afterwards we have a couple of beers in the Scribblers’ ‘Room With A Brew’ before rounding the night off with a couple of Chocolate Gorillas in the Blue Monkey. We did stick our heads in the Borlase on the way to the Blue Monkey but they’d only got Tuck on, so we didn't stay. Good job really, would have hated to miss out on the CG.